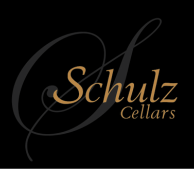 SCHULZ CELLARS was founded in 2005 by Michele and John Schulz. They have a combined 40+ years of experience in the wine industry. John's career started in the mid-eighties with a large winery in the Central Valley where he worked as a cellar rat during the week and tasting room sales on the weekends. Though a natural progression, John moved to outside sales for a small central coast wine distributor. In the early nineties John took a position at Franciscan winery where he spent nearly ten years in sales throughout the US. Over the past several years, John has dedicated his sales experience to a number of small ultra-premium wineries throughout Napa Valley and is now the National Sales Director for Dutton-Goldfield Winery in the Russian River Valley. Michele’s husband John introduced her into the wine business when they moved to Napa Valley. She began her wine career in the early nineties at Pine Ridge Winery and is now the Sales & Marketing Director for Schulz Cellars. Prior to this, Michele was able to sharpen her wine skills with stints in retail sales at a well-known wine shop in Denver, worked in the cellar at Chateau Ste. Michelle in Washington State and spent five years with Cliff Lede Vineyards as the Consumer Direct Sales Manager. Michele was most recently DTC Marketing Manager for Arrowood Winery & Matanzas Creek Winery before coming to work full time for Schulz Cellars. Their son Samuel is also getting into the business, and he’s only nine years old. Samuel is Michele's lucky charm when he rides along with her to meet with Sommeliers at restaurants and retail shops. Today Michele has found a nice balance between family and work. Having a background in both winemaking and wine sales, They were then lucky enough to have close friends with recently planted vineyard land in Napa that was not yet under contract. They made wine for many years and their first commercially released bottling was from the 2005 vintage with a Syrah from the Fortunati Vineyard, Oak Knoll District. In the 2006 vintage, they added a Red Wine to there portfolio called “Samuel’s Cuveé”, named after their son who was born in 2005. With their total production only being around 600 cases, they continue to look for new and exciting vineyards to work with throughout California. With this quest in mind, they released an Albariňo and a Roussanne with fruit sourced Calaveras County. Schulz Cellars ultimate goal is to produce high quality wines at reasonable prices that reflect the individual vineyard site wherever it may be. Schulz Cellars has been a lifelong goal for us and we hope that our wines will find their way into your homes and onto your table in the coming year and for many years to follow.